Yesterday, Connecticut’s Judge Barbara Bellis struck down a frivolous lawsuit against Remington Arms bought upon by some of the families of those killed during the Newtown tragedy of 2012. Sorry, this will be a tad political. But it’s important. To the untrained eye, this might seem to be another case of a judicial misstep where a well-financed defendant (Remington), trounced upon some less-than-well-financed plaintiffs in the form of the families affected by Newtown. However, this wasn’t necessarily the case. The plaintiffs were represented by a prestigious Connecticut law firm, Koskoff, Koskoff & Bieder, with finances acquired from a diversity of progressive gun control groups, most of which receive funding from Michael Bloomberg. They had the financial firepower to take on Remington, who owns the Bushmaster brand, manufacturer of the rifle used in the Newtown tragedy. And, of course, the manufacturer fought back. The case was spurious, and in some cases, insulting. The plaintiffs’ argument hinged on, of all things, marketing. The basic claim relied on an observation that Bushmaster used aggressive and “warlike” imagery to market their products, which led to a “notoriously incompetent” citizen to pick up their brand of rifle, and go on a shooting spree. Conveniently forgotten was the fact that the attacker’s own mother purchased the rifle, and the attacker killed her before obtaining the rifle. Simply put, Bushmaster’s marketing had no part in the tragedy. The killer had scant knowledge of their marketing materials. And this, is where the PLCAA, aka the Protection of Lawful Commerce in Arms Act, comes in. Prior to the passage of this law, firearms companies were routinely sued by people, fettered on by gun-control groups and greedy lawyers, who were victims of a shooting. For example, someone was shot by an assailant who used a GLOCK pistol, and the victim’s relatives would sue GLOCK, prodded on by organizations like the Brady Campaign. 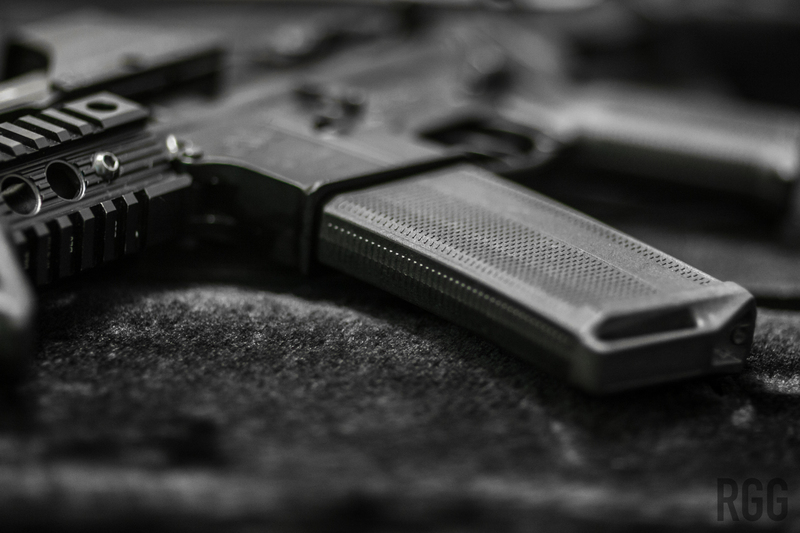 Other industries were never subject to these kind of lawsuits, but gun companies, as has been distressingly evident in recent history, are singled out for special abuse. Imagine if you will, a person takes a BMW, and runs over six people at a bus stop with it. The survivors band together and decide to sue - not the assailant or his family - but BMW. As somehow the marketing for the “Ultimate Driving Machne”, an inert collection of steel, plastic, leather (hey, it’s a Beemer…), and electronics, somehow influenced the driver, and led him to attack the people at the bus stop. Depictions of roaring around hairpin turns, and cresting mountain passes somehow pushed someone over the edge into insanity? That’s the argument presented in the Soto v Bushmaster, et al case. That somehow people are unduly influenced by advertising. And that, is where PLCAA kicks in. Most industries enjoy the protection of both tort law and case law in situations like this. You can’t sue BMW because their advertising depicts the vehicles executing high-speed turns and running insane slalom courses, and then you go out and try to imitate the driving style, and summarily run into a tree. You can’t sue the maker of a Superman costume because you jumped off a roof and didn’t fly - despite the fact the advertisement showed Superman flying over the skyline of Metropolis. That being said, most firearms ads are pretty tame. They depict the product, and maybe imply a use case, like this GLOCK ad below. No aggressive imagery, but an appeal to self-reliance and protection. Universal human values, if you will. Advertising 101. Appeal to the broadest audience possible. And yes, sometimes aggressive imagery makes it into firearms ads - use this rifle and be like those operators operating operationally. But, as rational human beings, we know just the mere act of shooting said rifle won’t make us a competent operator. Just as purchasing a BMW won’t imbue you with the driving skills of Sterling Moss or Ayrton Senna. With that in mind, you would think people would realize that you certainly can’t sue a gunmaker because it’s advertisement depicts the firearm being used in an exciting and aggressive manner. Showing a product in it’s “maximal” use case is elementary advertising. Only one person I know takes his Land Rover off-roading. Most people don’t. But that doesn’t stop Land Rover from advertising their vehicles crossing the Sahara and winding their way through the Alps. But, examining the actions of rational humans didn’t prevent people from trying to sue gun manufacturers to places “responsibility” on them for shootings. Again, fettered on by groups with an agenda and their money-hungry attorneys, people tried, and still try to sue firearms companies when their products are misused. It’s not about relief for the victims, it’s about the long-term game of bringing those oh-so-dastardly gunmakers to heel. To put it in terms familiar to my audience, of course. The protections of PLCAA are no different than the protections that any other consumer product company receives from frivolous lawsuits. Guns, at the end of the day, are a consumer product. The sad takeaways are twofold. That people who are against the citizen ownership of firearms are so blinded by their zeal, they will exploit the grief of people victimized by shootings to further their own agenda. I wonder who is more evil, the assailant, or those willing to exploit the tragedy? The potential chilling effect on both the Second, and First Amendment had this case been cleared to proceed. Would firearms makers been forced to “tone down” their marketing? Would they be forced to only produce certain types of guns for the civilian market? The long-reaching damages to our freedom would have been disastrous. The case is being appealed, of course, so it’s technically not over. However, an appeal doesn’t necessairly grant a “do-over” for the losing party. Prior decisions do play into whether the appeal is even accepted. Let’s hope it isn’t.